A wide variety of fresh local fare, organic foods and quality locally grown produce, plus entertainment and a great atmosphere make this a wonderfully traditional Norfolk market. 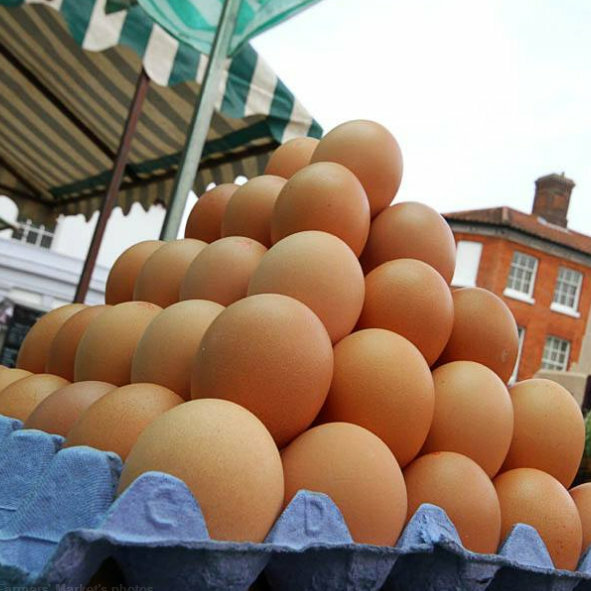 Traceability, low ’food miles’ and a fine choice of quality foodstuffs, plus local crafts, plants and flowers - a visit to our Farmers’ Market is great start to a North Norfolk Saturday! A. J. Ward & Sons: Large range of garden vegetables & salads in season. Ashill Fruit Farm: Plums, pears, apples, plus a selection of apple juice and cider vinegar. Bootifull Coffee: Mobile espresso coffee bar - range of flavoured coffee beans with ground to order service. Briston Beef: Wild rabbit, venison & game in season. Candi’s Chutney: Large range of delicious homemade chutneys. Coen van Beuningen: Frozen organic beef, lamb, pork, back and chicken. Coriander & Lime: Homemade authentic curries and indian dishes, cookery classes and catering. Creake Plant Centre: Unusual plants, roses, shrubs & trees. Diane & Jason Peart: Chickens, turkeys, ducks and guineafowl. Green Farm Lamb: Locally reared top quality lamb and mutton. 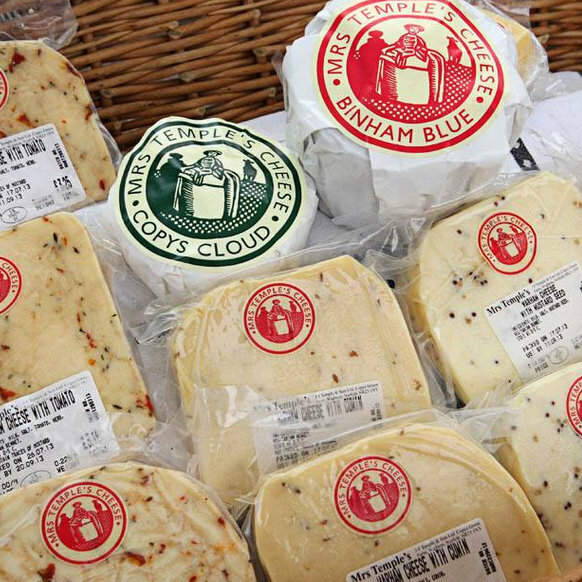 J. F. Temple & Sons: Award winning range of handmade cheeses. Mr Kews Pies: Award Winning Handmade premium Pies using locally sourced ingredients where possible. Olives and Stuff: Marinated olives and appetisers. Pixie Hall Cakes: Handmade cakes, cookies and traybakes. A range of gluten and dairy free always available. 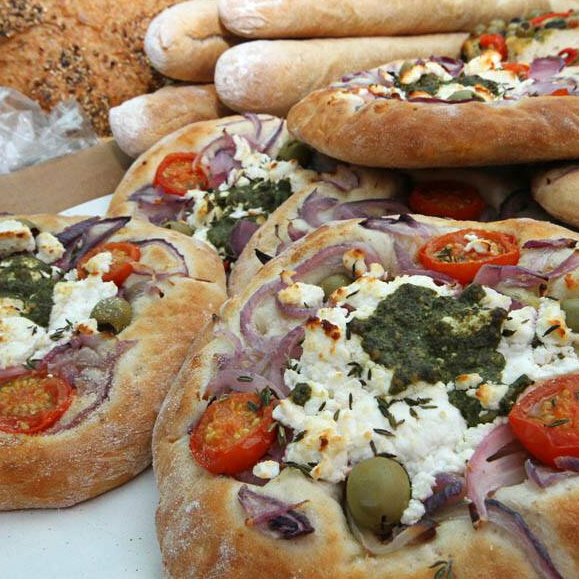 Pye Baker Ltd: Excellent range of artisan breads, croissant etc. Rory Watson: Free range eggs. Somerville House Foods: Vegetarian foods inc Scotch Eggs, griddlecakes, turnovers, empanadas and a large range of chutneys. Tavern Tasty Meats: Pork: rare brad Gloucester old spot, large black, British lop, sausages, pies etc. Lamb: Sount Down, Whitefaced Woodland & Shetland. The Garden Farmer: Fruit and vegetable seedlings, potted herbs, ready-to-plant vegetable gardens. The Marmalady: Genuinely homemade jams Jellies and a large range of Marmalades. Thistlefield Soups: Homemade from locally sourced vegetables, suitable for freezing. Westons of Blakeney: Local crabs, fresh fish, own smoked fish, potted shrimps, pates chowders. 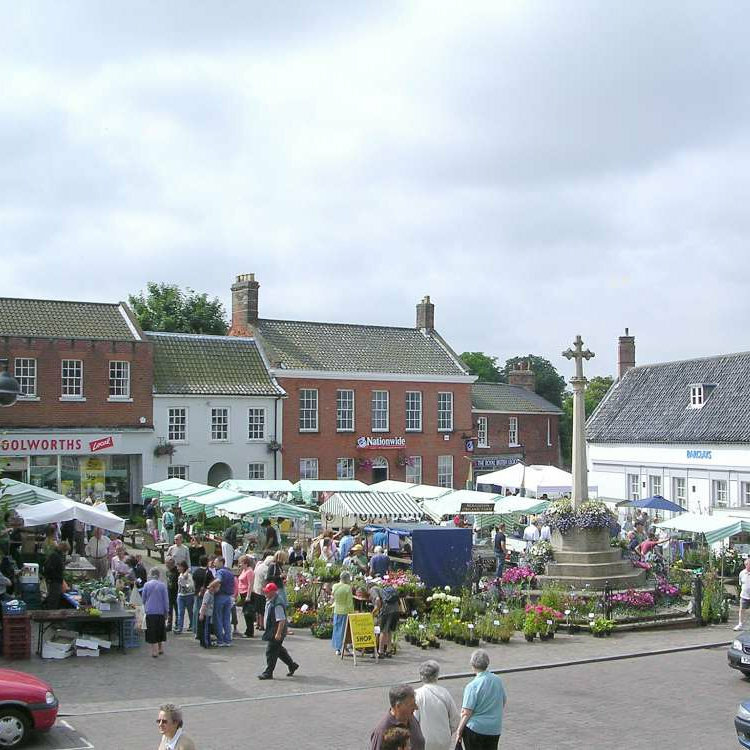 Fakenham Farmers’ Market - A wide variety of fresh local fare, organic foods and quality locally grown produce, plus entertainment and a great atmosphere make this a wonderfully traditional Norfolk market.